There are some things that remain true throughout all eternity, and one of these simple truths is that chocolate makes a brilliant treat at any time of the year. 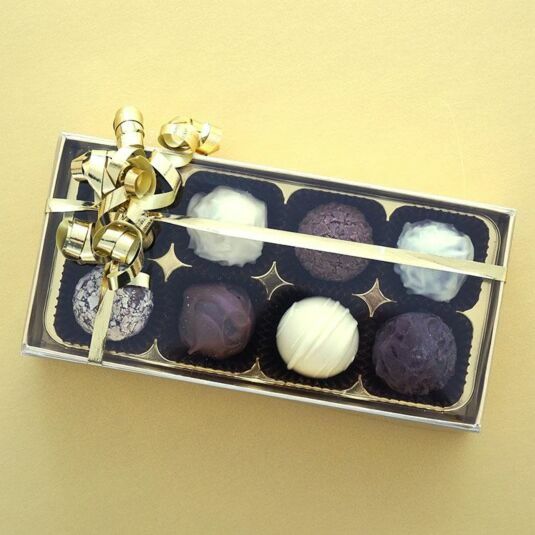 This sumptuous selection of chocolate truffles is guaranteed to get you into somebody's good books. There are milk chocolates, dark chocolates and white chocolates, all with a variety of scrumptious fillings. The chocolates come beautifully presented in a sleek gold box, wrapped up with a coloured ribbon, making it an ideal gift on the big day. Please note: the chocolates may contain traces of nuts. Some chocolates contain small amounts of alcohol. Our delectable range of mouth-watering chocolates have been made and hand-finished, in Belgium, by some of the world's finest chocolatiers and confectioners. Great care is taken to grind, mill, temper, and conch the chocolate (sometimes for as long as six days) to create a smooth silky texture and a perfect, body-temperature melting point. 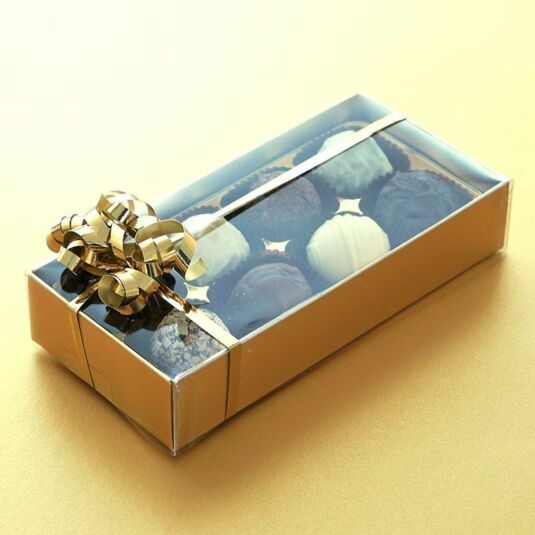 Storage and Notes Chocolates should be kept in a cool dry environment at a stable temperature, but not refrigerated. Stored correctly, this product should have a shelf life of three to six months. May contain nut traces.